Wishing-Well and Three Other Events Are Ready! Don't Hesitate! Catch M.Huo to get excellent resources. This time, you can actively launch duel, shadow or kill in world map. In addition, tons of food can offer your heroes more stamina. More surprise when you choose to banquet release. During the event, players above lv.60 can join the event and launch Duel, Shadow, Kill in the world map. 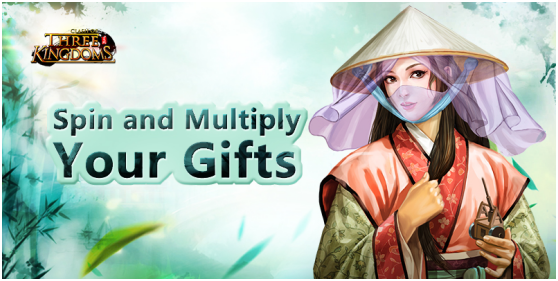 When all the 3 requirements are reached, you'll have the chance to catch M.Huo once and get excellent resources. What's more, extra rewards will be available if you choose to Banquet release. 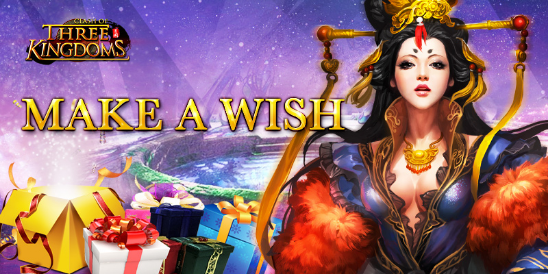 Wishing-well event will offer you a chance to make a wish and get the rewards you want as well as some random gifts. We have added the amazing rewards in event! It will greatly increase your power and help you to upgrade level quickly for your Mounts! What’s more, random gifts are also in here. What are you waiting for! Come and make wishes! During the event, players above Lv. 60 can join the event and get Iron, Soul, Starlight and other resources. Each time you make a wish, you can get random rewards as well as abundant resources. Extra bonus could be claimed after you wish for specified number of times. Daily Free Chance*1 at 12:00 p.m. (noon). Our New event is coming! Absolutely surprising you! There is a chance to get multiple rewards. Come and spin to get huge gems that can be used to combine higher level gem or crystal. In order to get your heroes stronger, you could try it. Come on and Wish you good luck. >> Free Chances - Roll the wheel for free. 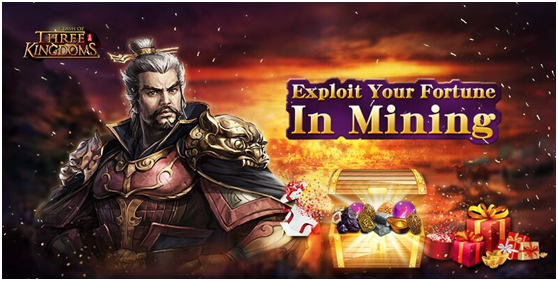 Players will get 1 free chance at 00:00 a.m every day. 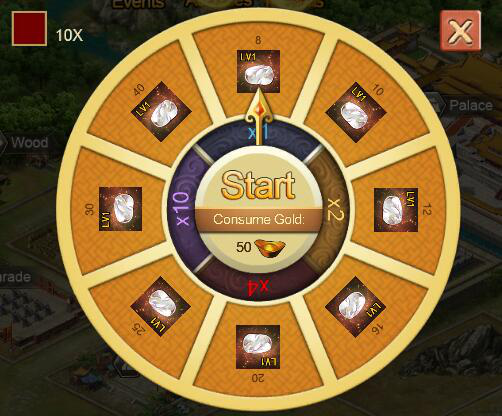 >> Start - Spend 50 Gold to roll the wheel. 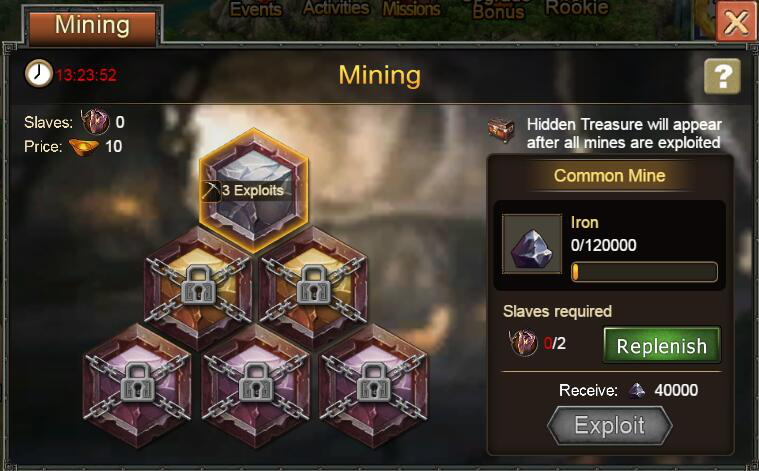 Gold will be deducted the moment you click start button and you can also choose to spend 10X to get 10 rewards. 2. Rewards unclaimed till the end of the event will be returned automatically to you by system. Event 4. Mining! Excellent Resources!